"I Had To Pick Between 3 Gorgeous Sets & WMG's Insta Family Helped Me Decide"
So this was something different! 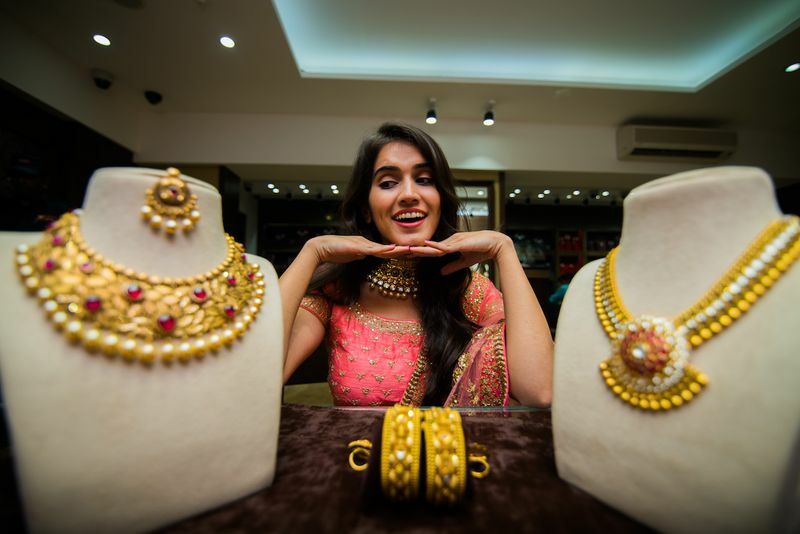 While we usually choose the perfect bridal outfit and the jewelry that matches it, this time we left the decision up to you guys! 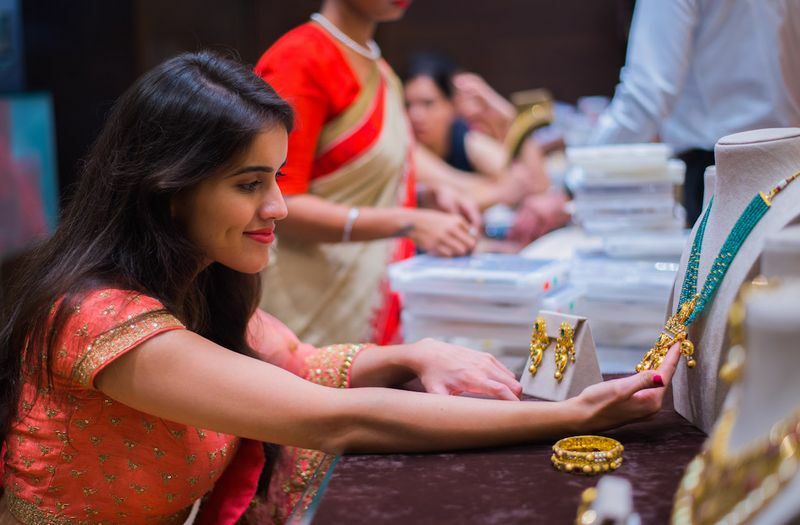 Yup, Real Bride Omna had a real conundrum on her hands, to pick the perfect jewelry from Manubhai Jewellers that would go with her pretty pink lehenga from Kalki Fashion★ 3.7 , and you guys made the decision for her! We put up her choices on Insta-story and YOU, yes YOU lovely ladies helped her make her final choice by using the poll feature on the app. So choosing the perfect set can be daunting, especially when you have so many gorgeous designs around! Going match-matchy or contrast? Now that's a tough decision! So it was finally narrowed down to three options, which Omna tried on and showed you guys. 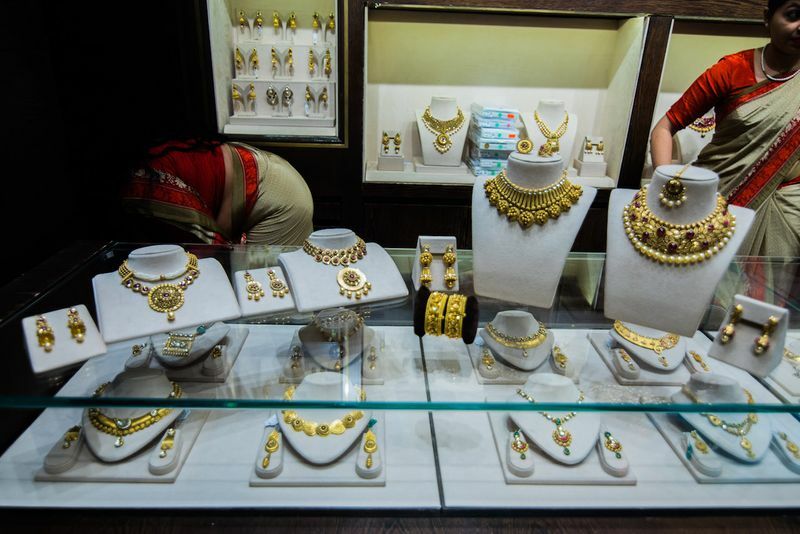 Look 1 was a 22k gold choker complemented by a beautiful long necklace set. 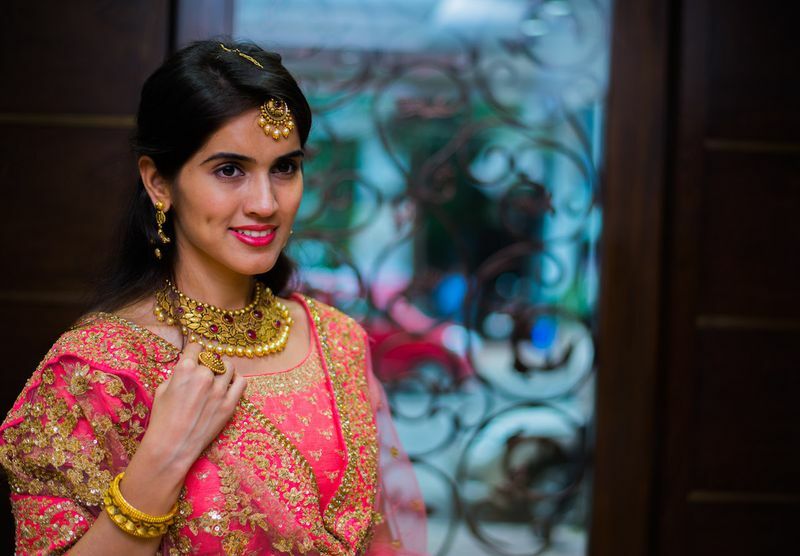 The gold choker piece, studded with Kundan work had emerald drops with fine pearls to complete the look. 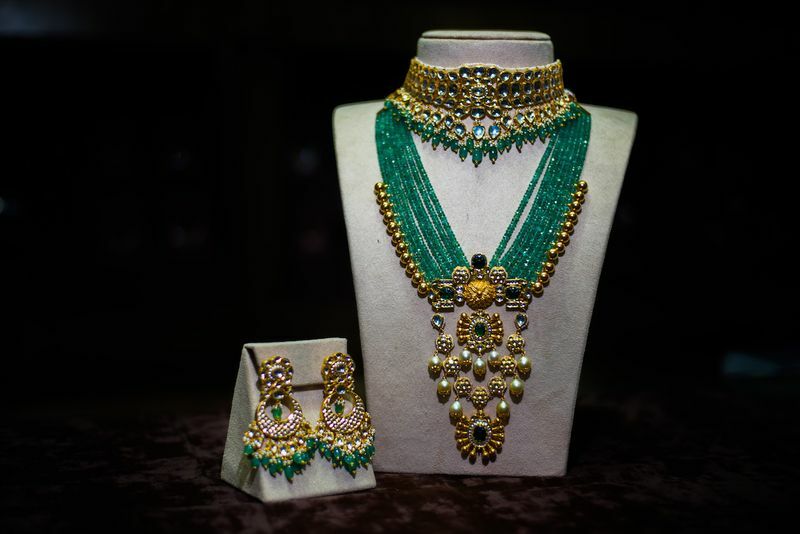 The long necklace was regality in itself, with multiple ropes of emerald beads bunched together. 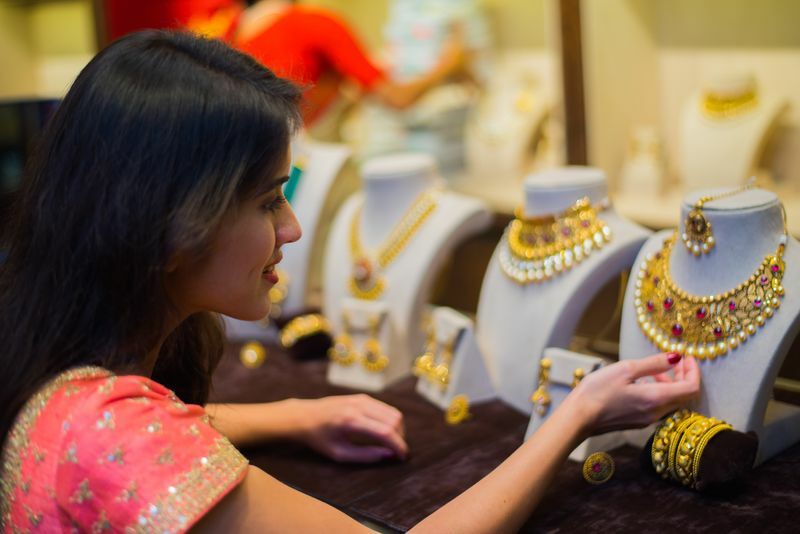 The main pendant had a charming mix of south sea pearls and gold karigari. 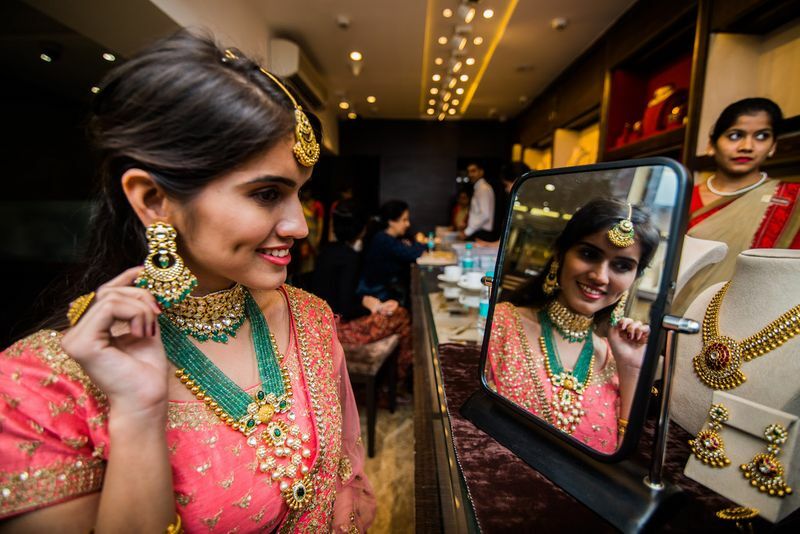 The whole look was completed with a matching emerald and gold bead maangtika and vibrant chandbalis. This look had a multifaceted design. The 22K gold necklace was inspired by nature with an autumn of gold leaves that created a magnificent look. The set was also encrusted with cabochon rubies and south sea pearls and had an antique finish. 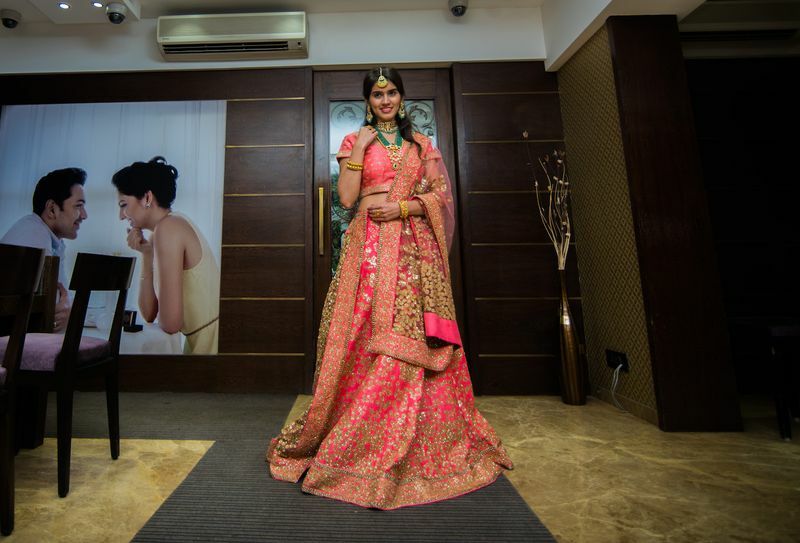 The whole look was completed with a matching maangtika and 22K gold bangles. 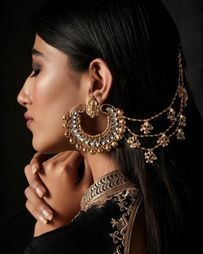 Look three was a choker and pendant style 22K gold necklace. 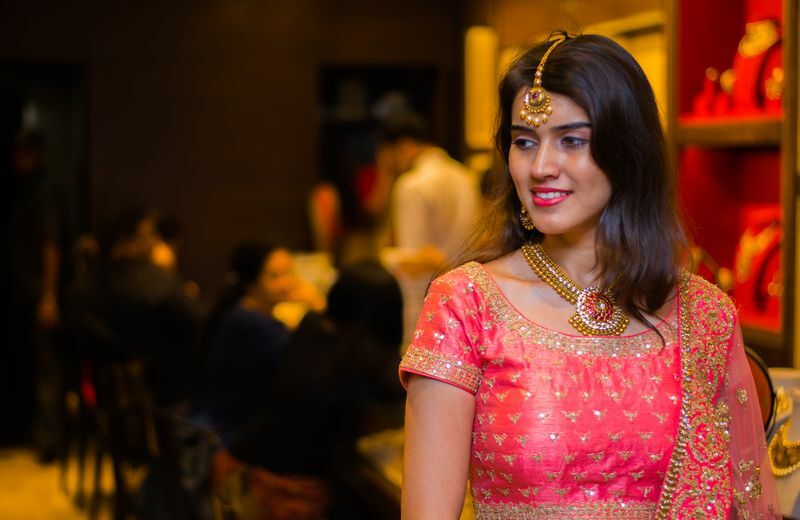 Crafted in takkar Kundan karigari, the necklace and its earrings were studded with semi-precious stones and rows and rows of gold beads. Look 1! Yup, the contrast was the way to go! Gorgeous, right? 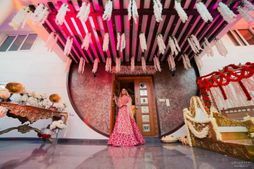 #FirstPerson: "I created a fusion bridal look for my multi cultural wedding"
Our Favourite Delhi Brides & The Gorgeous Jewellery They Wore! 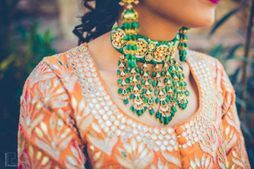 "I Tried Out 3 Beautiful Sets For My Wedding At Reliance Jewels"
The Best Chokers To Buy On Instagram This Season! We May Have Found The VIRUSHKA Wedding Location In Tuscany!